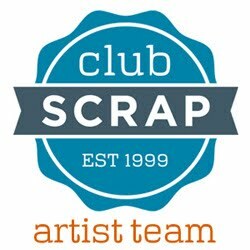 APeeling Paper Crafts: World Card Making Day! Hello my card making friends! Today is World Card Making Day!! In honor of this most auspicious day I played at a couple of card challenges! I made a card for the Sunny Day Crafting Challenge # 55 N is for Night Owl. and Tuesday Morning # 423 Sketch Challenge. and another for the Try Stamin on Tuesday # 342 Sketch Challenge. 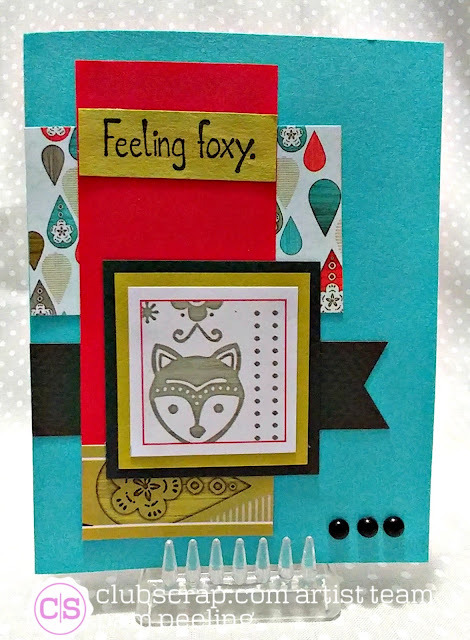 I used the Club Scrap October Scandinavia collection to make my card. The theme for Sunny Day Crafting was owls-perfect for this kit! The owl in a unmounted rubber stamp image available with this kit. Here's the sketch from Tuesday Morning. All papers are from the Scandinavia collection. 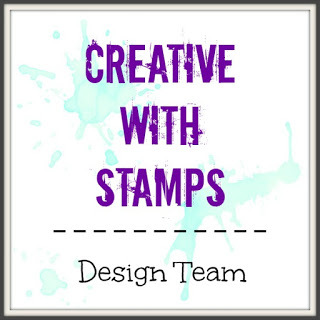 Here's the sketch for Try Stampin on Tuesday. 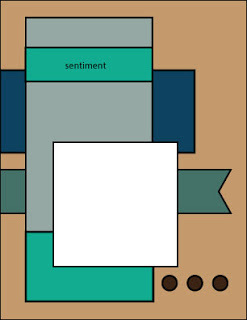 Make a card today in honor of World Card Making Day!!! Absolutely fun cards! I love the colors - I forget how happy white, turquoise and red make me feel. Thank you for joining us at Tuesday Morning Sketches. 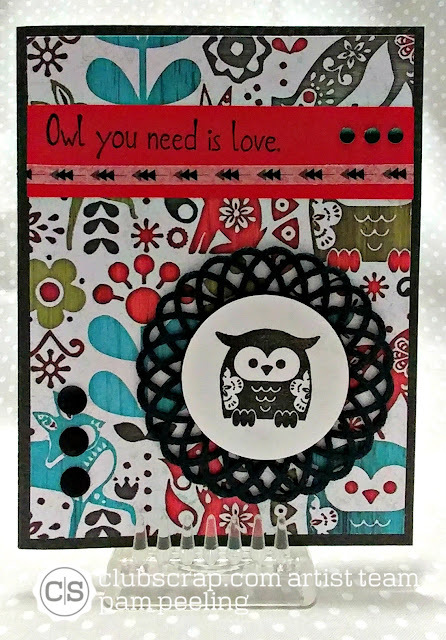 Wonderful owl card. The image is adorable, and the background paper is so colorful and fun. Thank you for joining us this week at Tuesday Morning Sketches. Adorable cards! I love your cute owl along with his perfect sentiment!! Both of these cards are just fantastic, I love your bold color combo Pam. 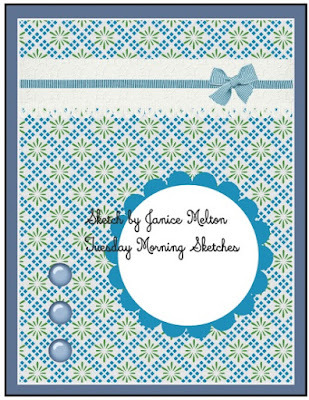 Thanks so much for creating with us this week at Tuesday Morning Sketches!! Wonderful cards! Thanks for sharing at Sunny Day Crafting. Such great cards and great interpretations of the sketches!